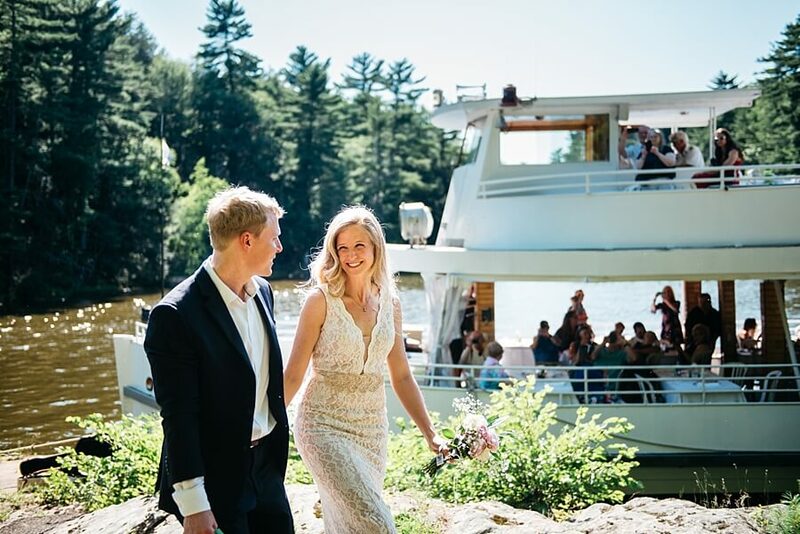 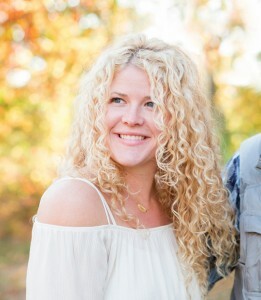 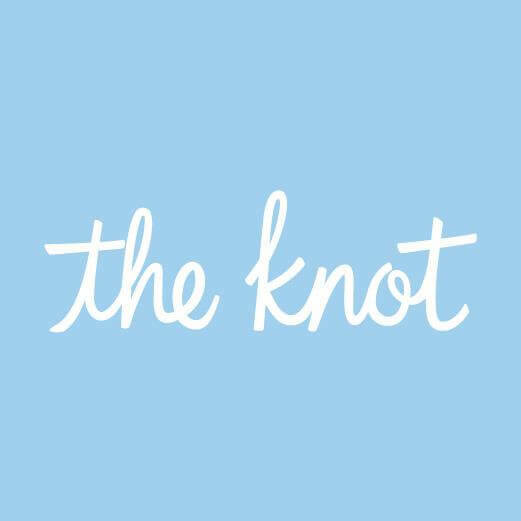 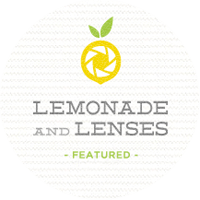 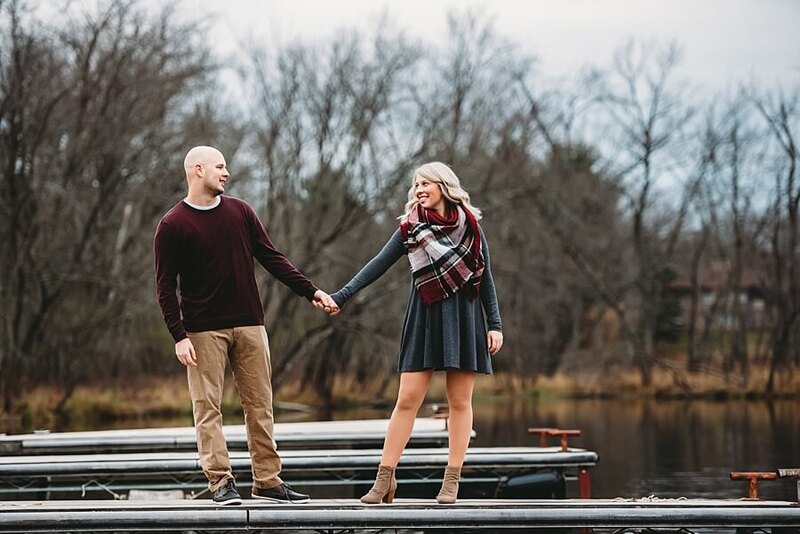 Engagement photos are so important for many reasons, but it really helps me connect with the couple, see how they interact with one another and makes us feel so comfortable come wedding time! 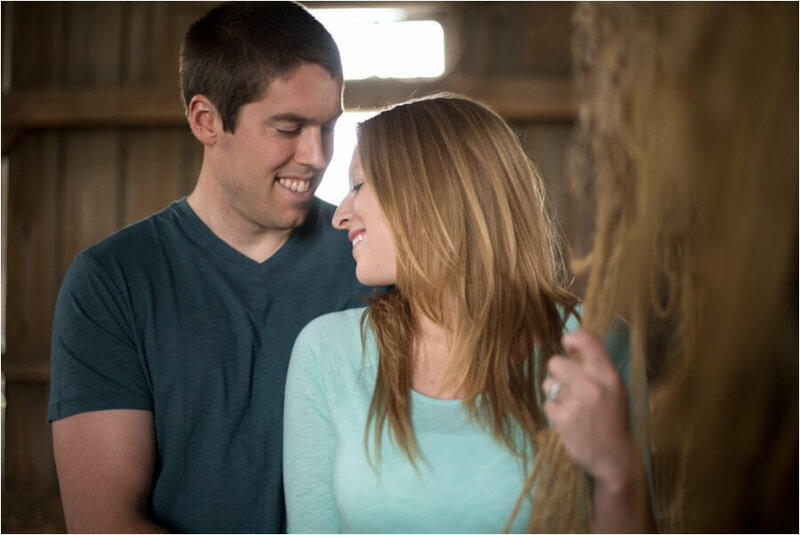 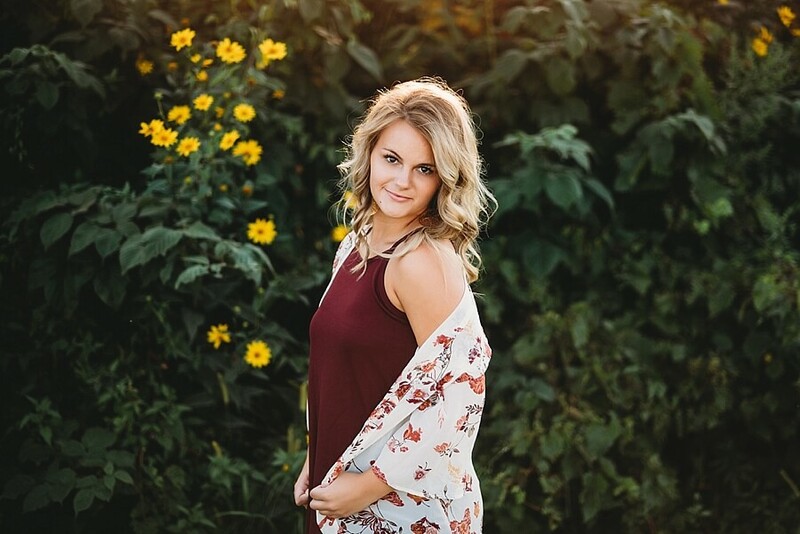 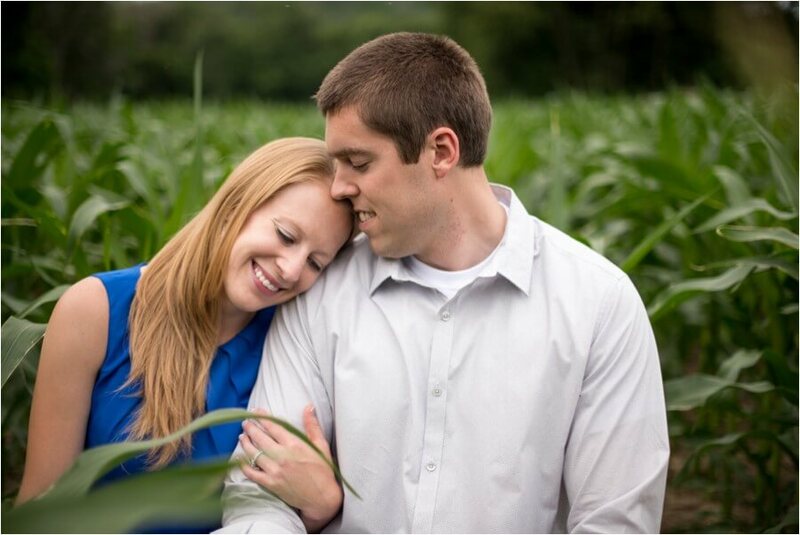 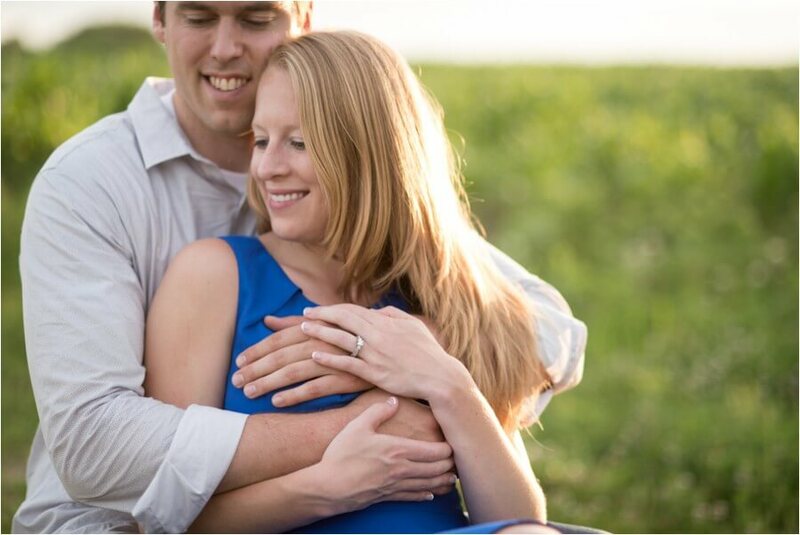 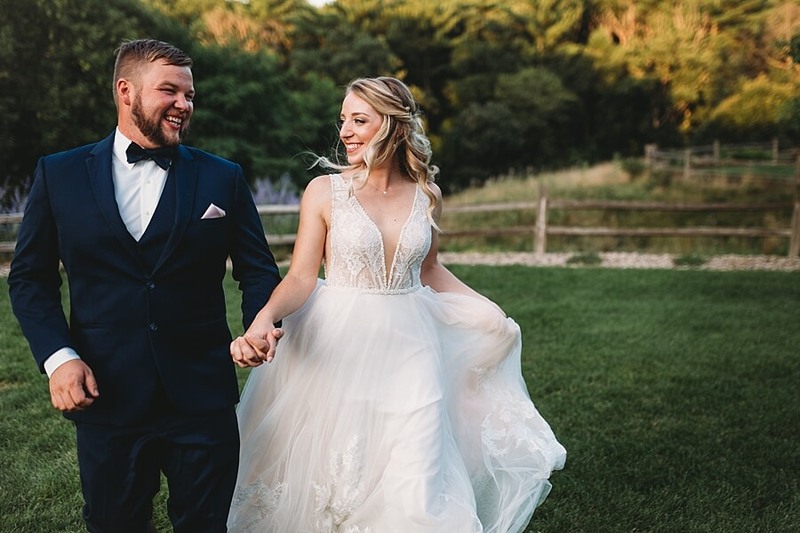 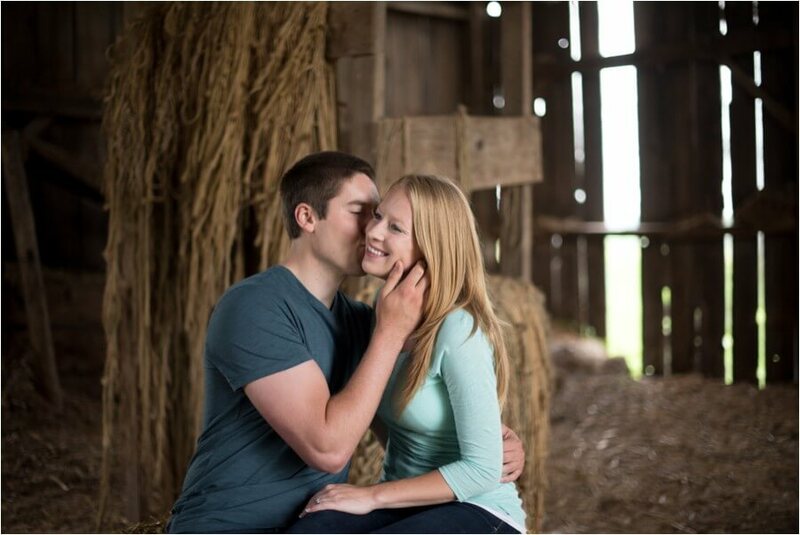 Jen and Zach are such a sweet duo and we shot these images near Jen’s family farm in Rock Springs, the land that she grew up on and has so many memories in! 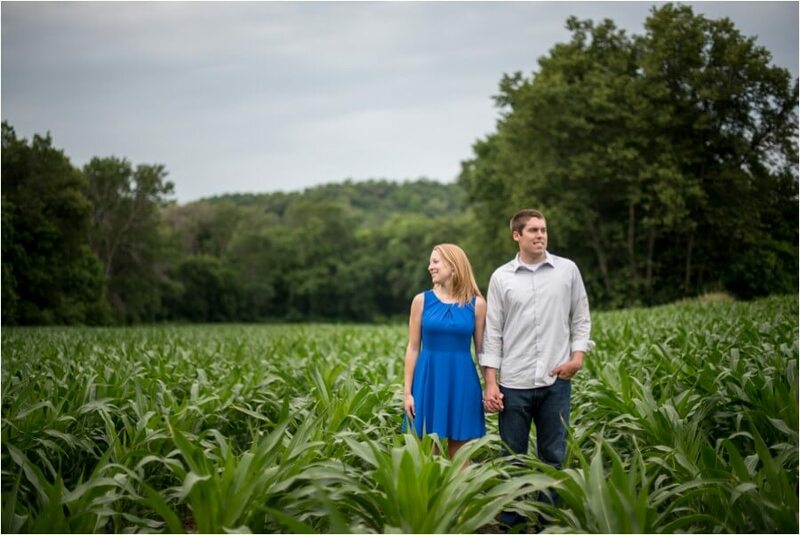 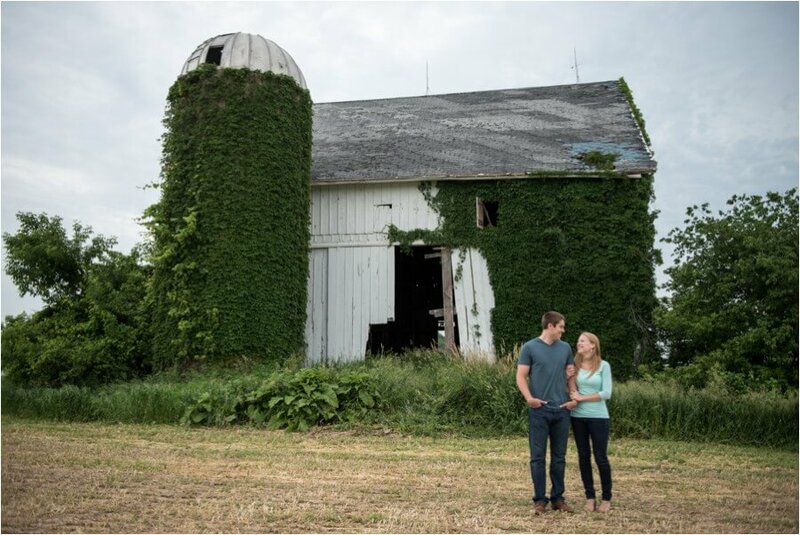 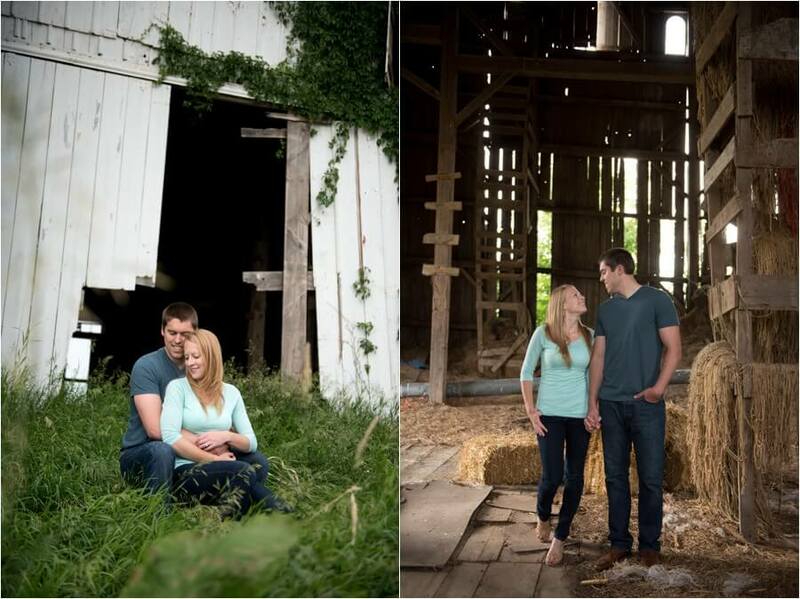 We started off in an old barn (which was taken down a few months after the shoot and now they have an awesome door in their home from the wood) and then explored down in the creek and corn field on their property. 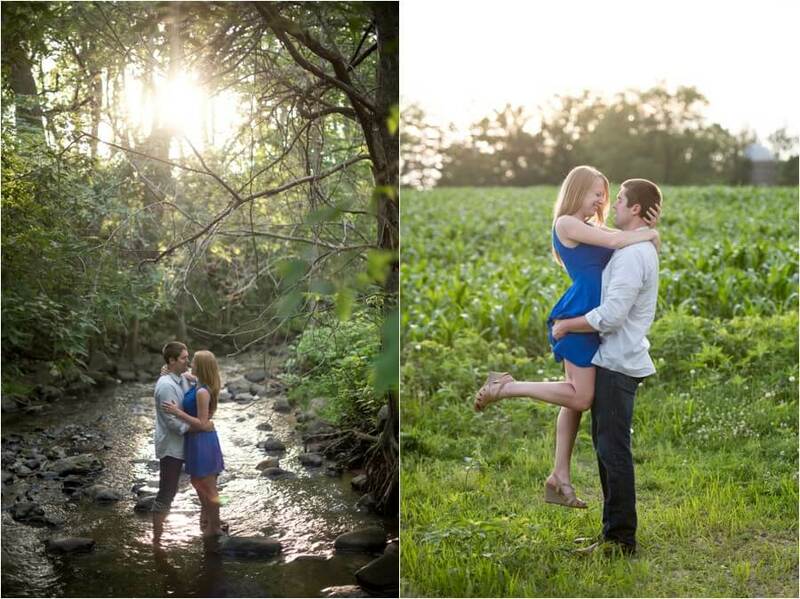 It was totally worth the mosquito bites! 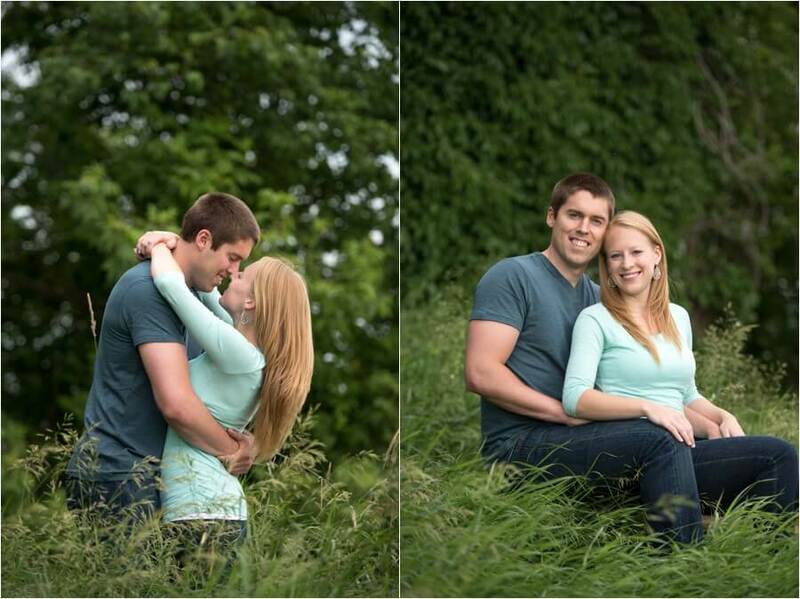 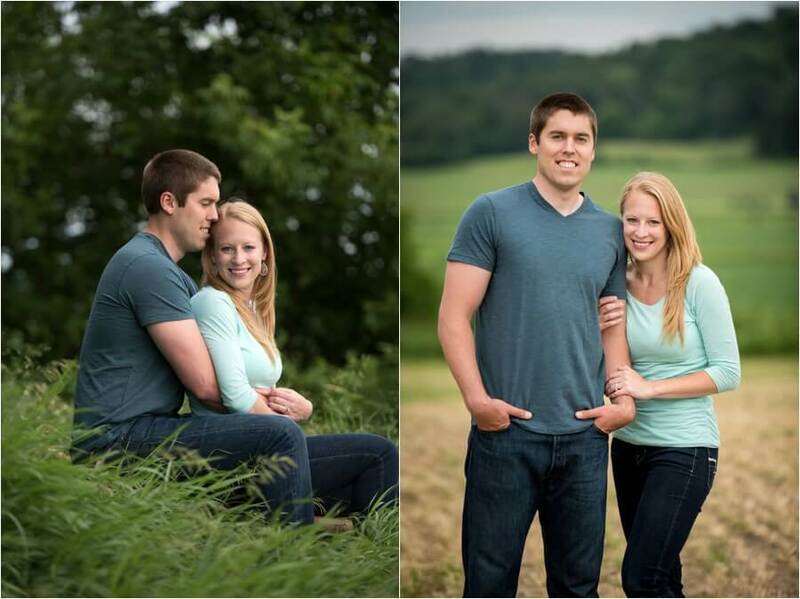 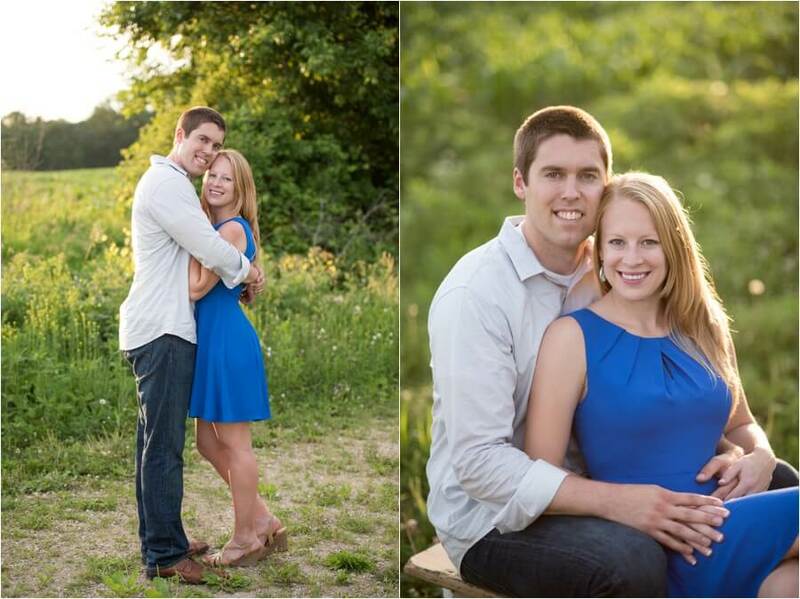 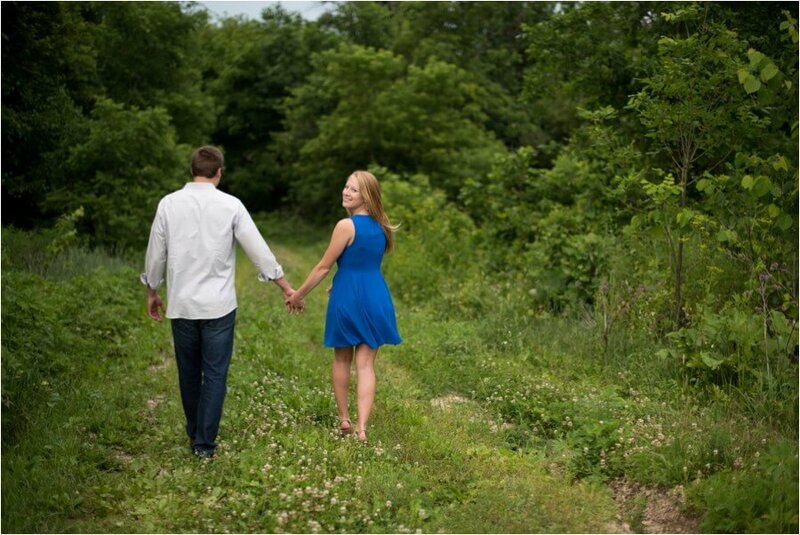 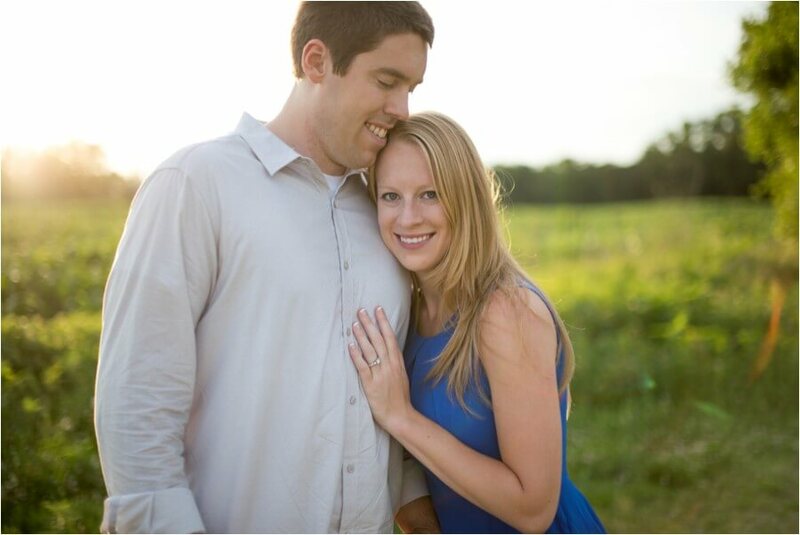 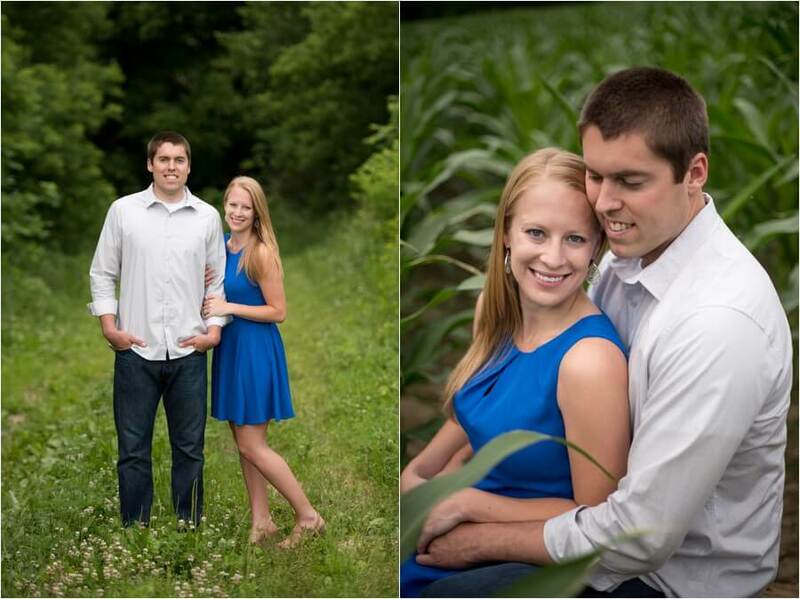 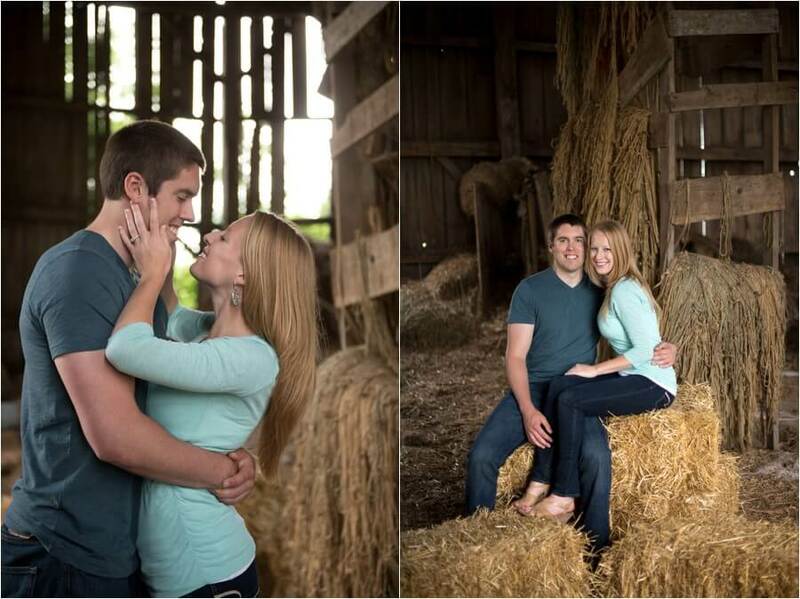 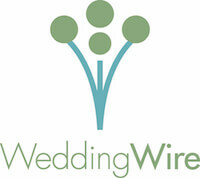 So excited to for their wedding one month from today at the Wilderness in Wisconsin Dells!